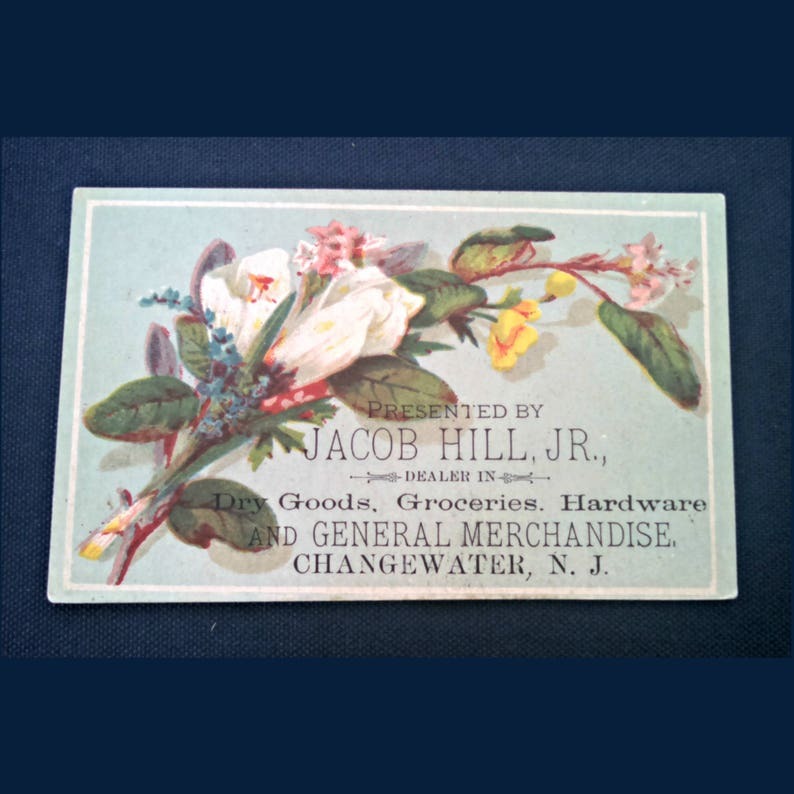 DESCRIPTION: This card was produced for a Changewater, New Jersey, general merchandise store run by Jacob Hill, Jr. 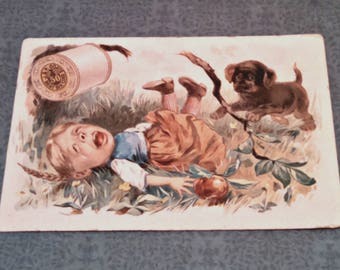 The company used a stock card with a color lithograph of a floral spray of large white flowers and smaller flowers and leaves on the front. The front was printed in black ink and says, "Presented by Jacob Hill, Jr., Dealer in Dry Goods, Groceries, Hardware, and General Merchandise, Changewater, NJ." The back is printed in black monochrome ink with an advertisement that the store sold dry goods, groceries, hardware, and general merchandise. The back also has the company's name and address, as well as the name and city of the card's printer (see last photo above). CONDITION: The card is in excellent condition. There are no rips, tears, bending, or foxing (age-related brown spots). The back of the card shows minor yellowing (as a newspaper does when it gets old). The card was well preserved over the past 120+ years.